515 pages, 145 illus., 7 maps, 24 tables. 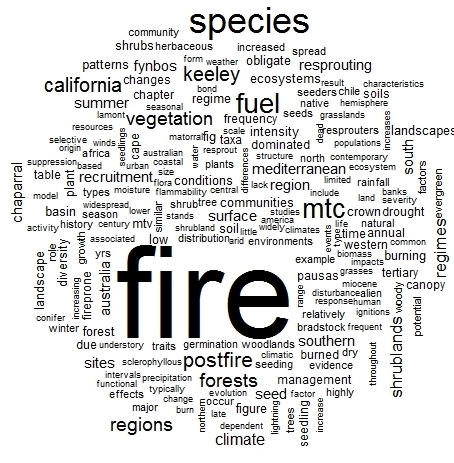 Analysing fire in widely separate but ecologically convergent ecosystems provides lessons for understanding fire regime diversity and its role in the assembly and evolutionary convergence of ecosystems. It stands as a challenge to ecologists, biogeographers and paleoecologists who have long held the view that they can understand the world through climate and soils alone. 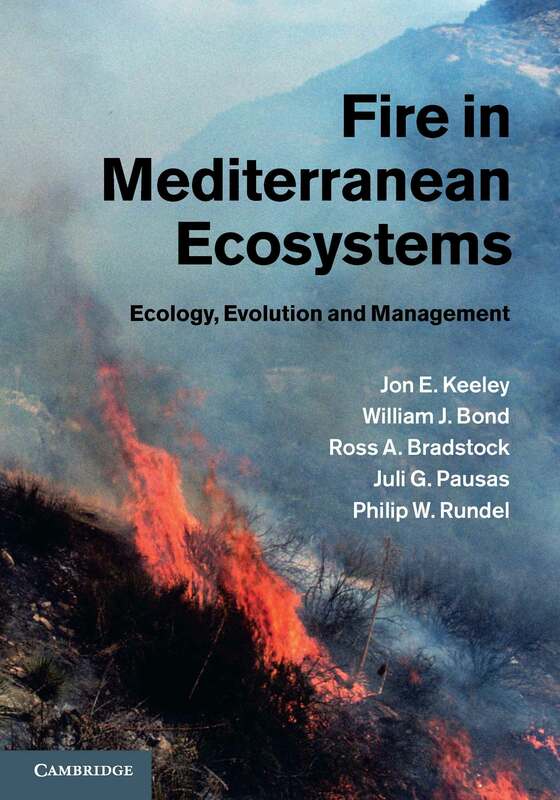 This in depth review of fire in each of the five widely disjunct Mediterranean-type climate ecosystems of the world aims to change our view of the evolution of fire-adapted traits and the role of fire in shaping the Earth. There are contributing factors that extend far beyond this climatic regime. 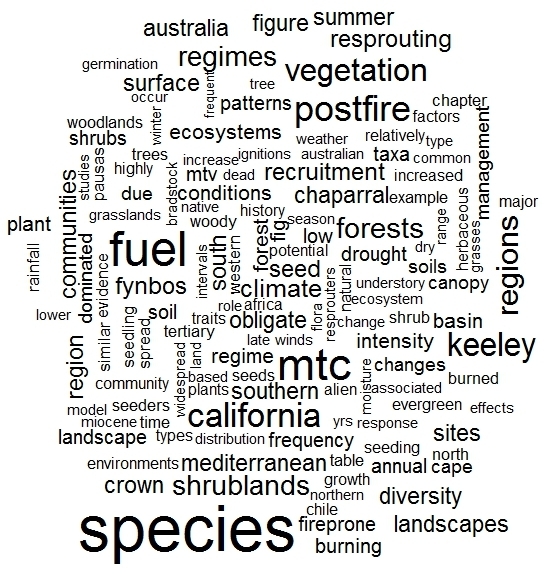 The complexity of the fire process in these landscapes brings to light the importance of considering all global changes in understanding and predicting future fire regimes. Provides many new insights into fire management and the requirements for regionally tailored approaches to fire management across the globe. For sale at: Cambridge UP (uk | usa | au | ebook), Amazon (uk | usa | jp | kindle), eBooks, etc. Download the flyer | Discount Promotion!